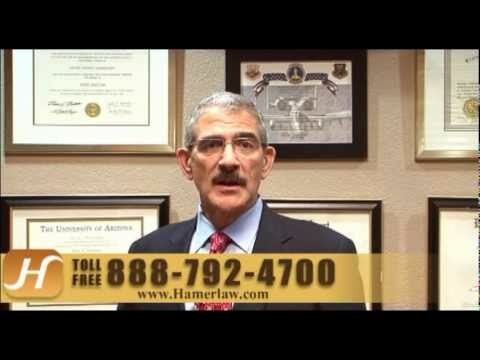 Tucson Truck Accident Attorney | The Hameroff Law Firm, P.C. At The Hameroff Law Firm in Tucson, we go all out to tackle truck accident cases aggressively. It is an “all hands on deck” approach that has produced impressive results for our clients. One of the largest cases we have handled was a truck accident that resulted in over $6 million recovered for our client. The trucking company, its insurance company, and state and federal government agencies send their teams out immediately following a serious truck crash accident. If you were hurt or a loved one was killed in a tractor-trailer wreck or any other semi-truck accident, it is vitally important to consult an experienced attorney immediately. Contact us today for sound legal advice in a free consultation with an experienced southern Arizona truck accident lawyer. We can act swiftly to protect your rights and your interests during a truck accident investigation. Within 24 hours, we can be on the scene with our own team of investigators, photographers and videographers who will help to gather the important evidence and take witness statements that can prove crucial in winning your case. Whatever the cause of your truck accident injury or the wrongful death of a loved one, the team at The Hameroff Law Firm will be there to fight for the full and fair financial compensation you deserve. Our aggressive lawyers have fought and obtained compensation for victims who have suffered multiple types of injuries ranging from spinal cord injuries and brain injuries to receiving a soft tissue injury or losing a loved one in a fatal accident. Call our offices in Tucson today at 520.792.4700 or 1.888.792.4700 to discuss your truck accident case with an experienced Arizona personal injury and wrongful death attorney. You can also email us at info@hamerlaw.com with any questions or to schedule an appointment.